Be the first to know about new arrivals, member only events, offers and news all delivered to your inbox. Plus receive a $25 reward on your birthday! Enjoy 10% off full price purchases and a $50 reward on your birthday*. 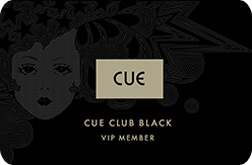 Become a Cue Club Black cardholder by spending over $2000 within 12 months and enjoy all the exclusive benefits Cue Club Black has to offer. 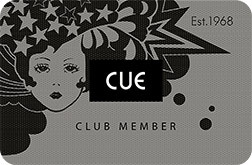 Want to be the first to know about all things Cue and enjoy member only benefits? If your address is not being detected by our address validation tool, please enter it manually. Your password should be at least 7 characters long and contain a combination of numbers, lowercase and uppercase letters.